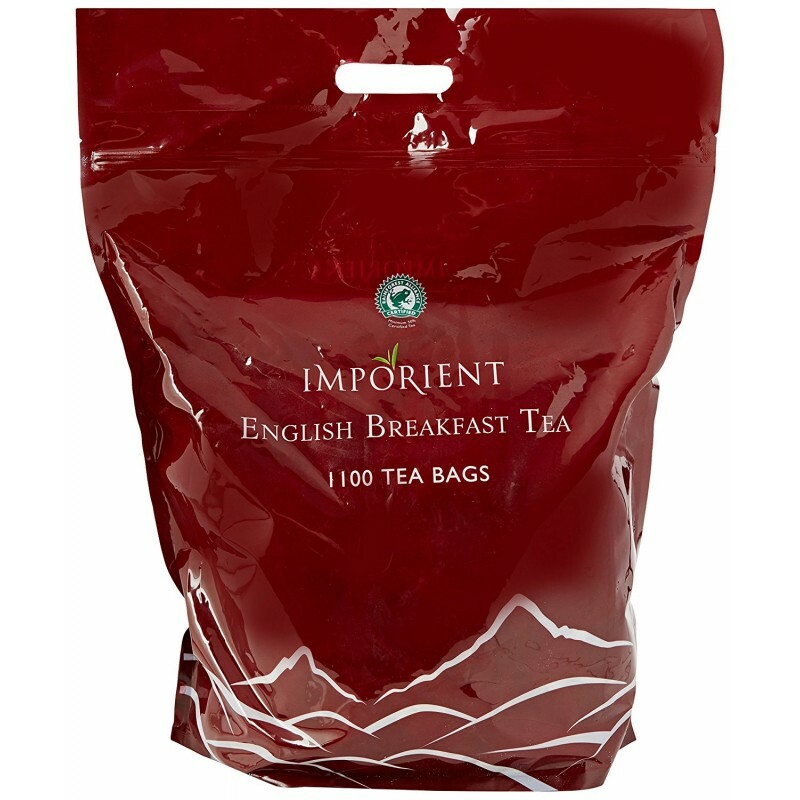 Imporient English Breakfast Tea bags. 1100 x 1 cup bags, 2.5Kg sack. 2.3p per tea bag. A very quick brew quality tea from our award winning tea selection. Exceptional flavour is released from from this high grade tea. Imporient pride themselves on quality - you wont find tea dust in these bags!